One of the delights of season 4 of Star Wars Rebels will surely be more Mandalorians. Not only will there be more Mandalorian characters introduced to the show than there have been in in seasons past (e.g. Fenn Rau, Gar Saxon, Sabine’s family, etc. 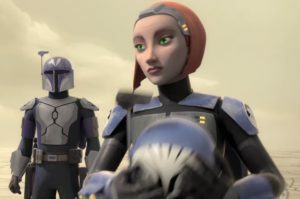 ), but we will also get to see both entirely new characters, as well as characters new to Star Wars Rebels (Bo-Katan Kryze(!!!!!) and maybe even Boba Fett(?)). Furthermore, it will be fascinating to see what’s happened on Mandalore since the Clone Wars, as well as what is happening at the time of the Empire’s occupation. While we saw no Mandalorians beyond Sabine in the first season and a little bit in season 2, what we saw in season 3 was perhaps some of the most fascinating elements of the season. For some viewers (myself included), “Legacy of Mandalore” made us particularly hungering for more, perhaps even a separate spin-off series just about Mandalorians(!). 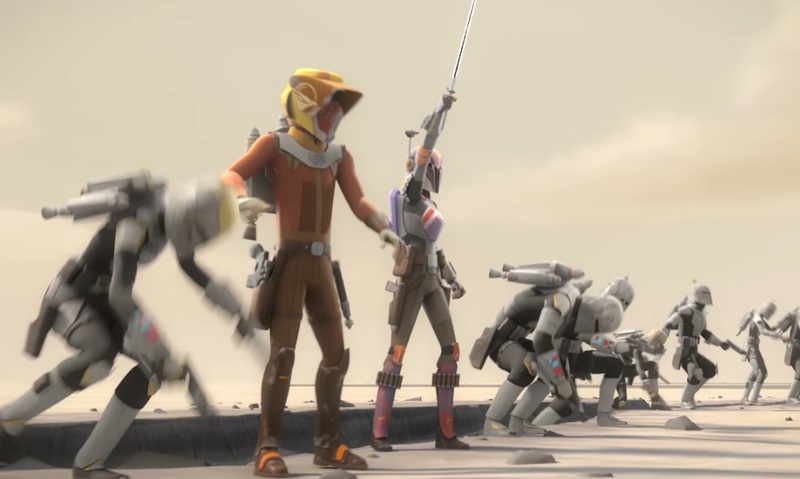 With not only more to come for season 4, but starting off the season on Mandalore, should provide some great enjoyment for all Star Wars fans, especially Mandalorian fans. With the first episode of season 4, “Heroes of Mandalore: Part 1”, shown at Star Wars Celebration Orlando, we see Sabine Wren leading fellow Mandalorians to attempt to free her father. For us fans who greatly enjoyed the Mandalorian elements in season 3, this is very exciting. Not only do we see Sabine’s mother, we also get to meet Sabine’s father, as well(!). Moreover, Bo-Katan Kryze makes her first appearance in Star Wars Rebels, which is incredibly impactful, even if brief. Finally, we are introduced to what type of destruction that the weapon that Sabine created (which she mentioned in “Trials of the Darksaber”) can do (which, I hope, we will see later in the season). Since we know we get at least a part 2 to “Heroes of Mandalore”, we are in for some further development of Mandalorian history, culture, and more, which should be very fasinating. 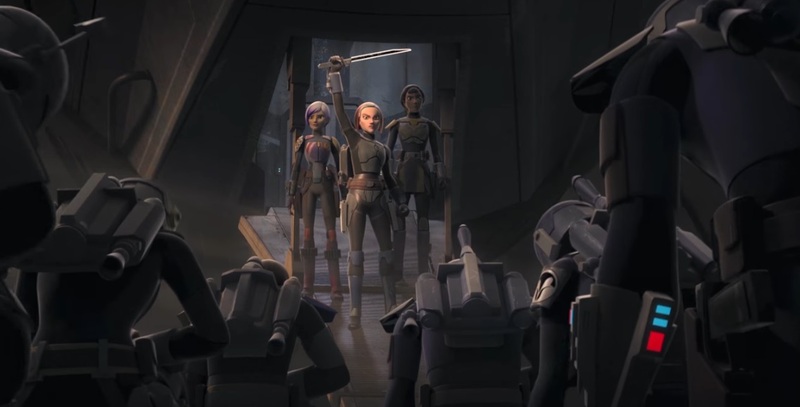 With the first trailer of season 4, shown at Star Wars Celebration Orlando, we see not only is Bo-Katan in season 4, but that, at some point, she is accompanied by Sabine and Ursa Wren and wielding the darksaber, while Mandalorians bow down in allegiance to her. There is also a brief scene in the trailer where we see Sabine fighting with Bo-Katan, although we don’t know whether that is in the first couple of episodes or, perhaps later. I am looking forward to season 4 of Star Wars Rebels for many reasons, but one of them is to explore Mandalorian culture, history, and heritage!